هالقطعتين يتشابهون في الفكرة مع فرق السعر طبعا. Since my collection of blazers is vastly expanding, it's an item that I can't live without and a prominent fixture in my wardrobe. I loved the one from MSGM ( also available in powder blue) , can be dressed down with jeans and chic flats or with flare pants and heels for an night out. 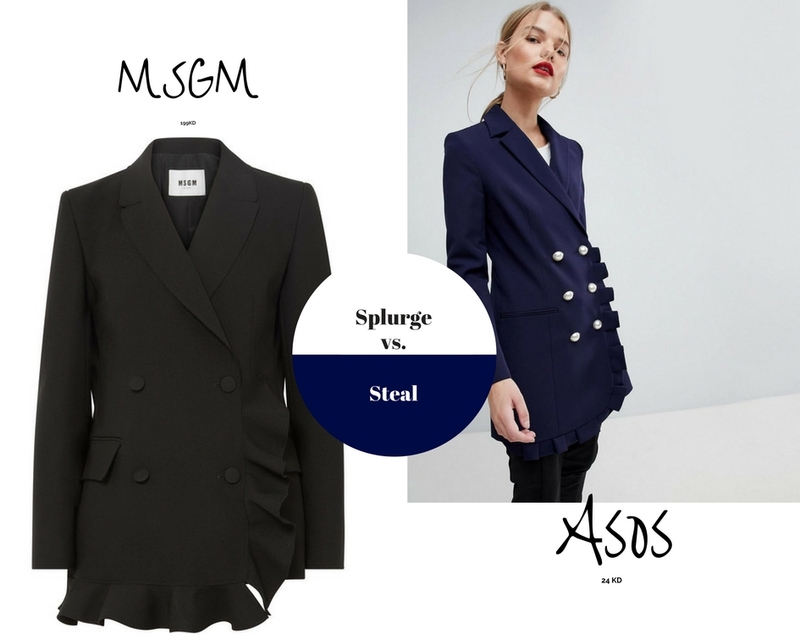 The Navy blue from Asos is a budget friendly option with Faux Pearl Buttons and also available in Yellow !